Manchester City made a return to the top of the Premier League table in midweek with a surprisingly nervy 2-0 win away to the out of form Everton, following on from their 3-1 win over Arsenal at the Emirates last weekend and leaving them above Liverpool on goal difference. There’s no denying that this has been a more difficult season for the Citizens though. They have already suffered double the amount of defeats that they did in the entirety of last season, and all of those have come in the last 2 months. 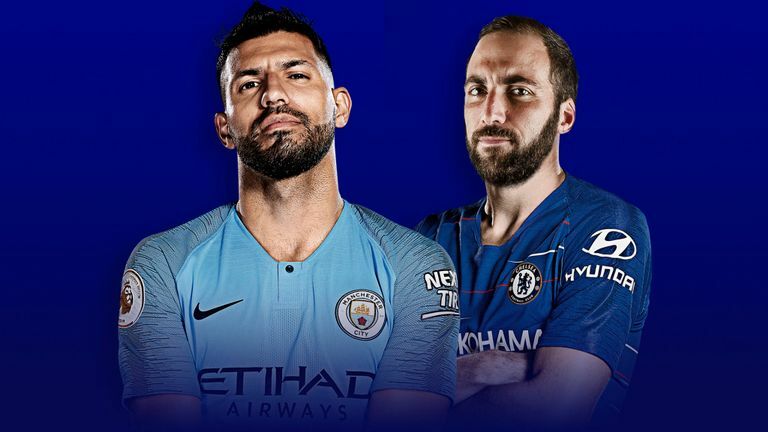 Chelsea, Crystal Palace, Leicester, and Newcastle have all taken maximum points off them, but while this might look promising for the visitors, the fact that only one of these losses has come at the Etihad is key. At home Pep Guardiola’s side have won all but 1 of their 13 Premier League matches this season, scoring an absurd 43 goals in the process. In fact, they have scored at least twice in each of their last 14 home league games, and if they do the same on Sunday, they will set a new competition record. Given some of Chelsea’s recent performances, there is every chance for Man City to break this record. The visitors did manage to clinch a 5-0 win against bottom of the table Huddersfield last weekend, but that came just a few days after they fell to a devastating 4-0 defeat away to Bournemouth. The Blues’ away form over the last few months has been rather poor, with 3 wins and 4 defeats making up their last 7 Premier League trips away. They have been beaten by Spurs, Wolves, Arsenal, and Bournemouth, and their recent loss to The Gunners made it 6 games without a win when visiting the other Premier League Big Six Sides. As a spectator, I try to figure out what the managers want to do and if it works. I see Chelsea and I can understand what they want to do and they do it. Maybe we deserved to win in the second half, but we were very lucky in the first. In that match we defender very well as they only had three opportunities on goal, no more. “We need to be very fast when we’re recovering the ball. They are able to press really well and it’s difficult to find a way out of that situation. Chelsea haven’t won in their last six Premier League away games against the ‘Big Six’, and have lost their last four meetings. Manchester City have only scored four goals in their last five Premier League matches against Chelsea. But they have scored at least twice in each of their last 14 Premier League home games. Manchester City Possible Lineup (4-3-3): Ederson; Walker, Stones, Otamendi, Laporte; De Bruyne, Fernandinho, D Silva; Sterling, Aguero, Sane. Chelsea Possible Lineup (4-3-3): Kepa; Azpilicueta, Rudiger, Luiz, Alonso; Kante, Jorginho, Barkley; Willian, Higuain, Hazard.